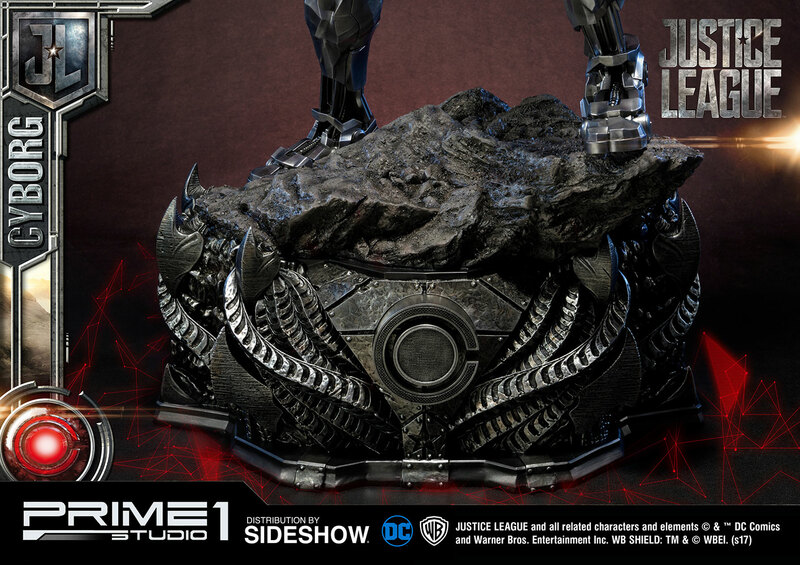 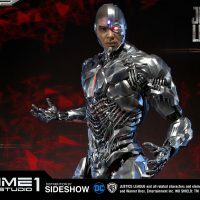 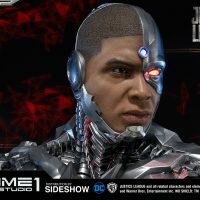 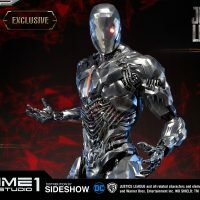 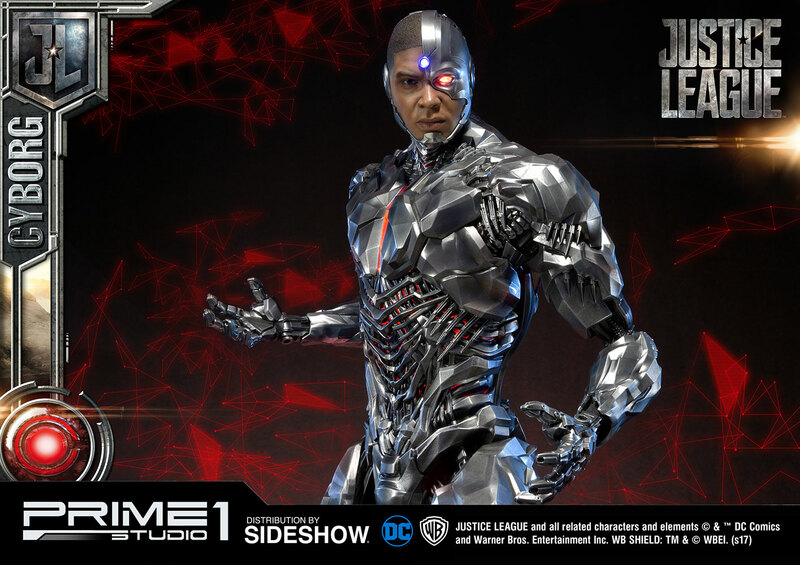 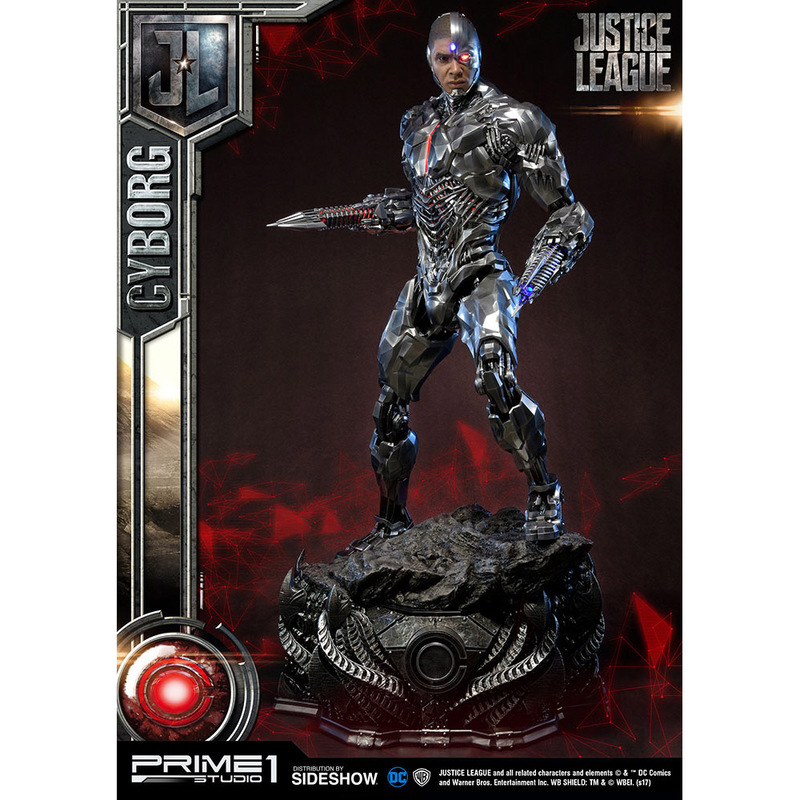 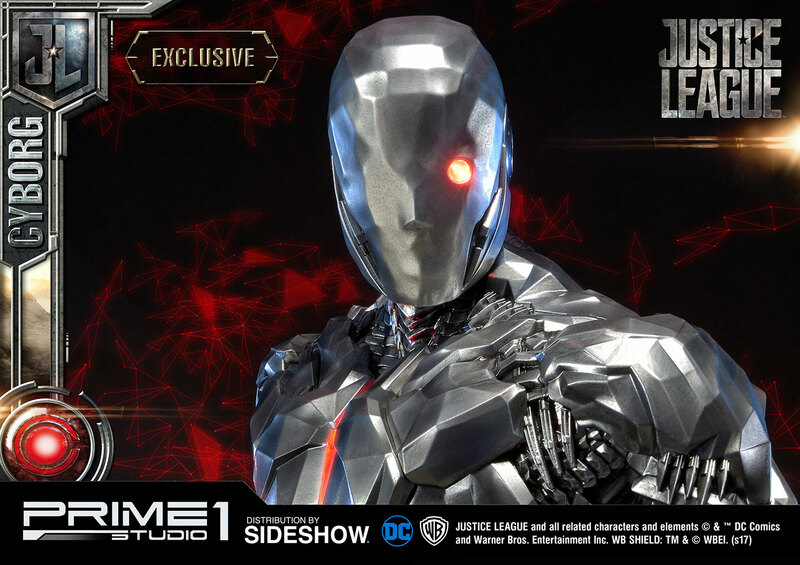 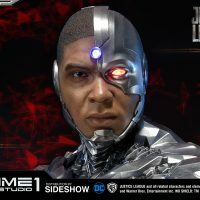 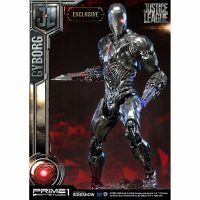 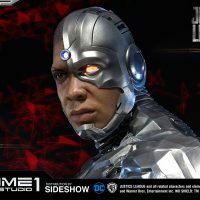 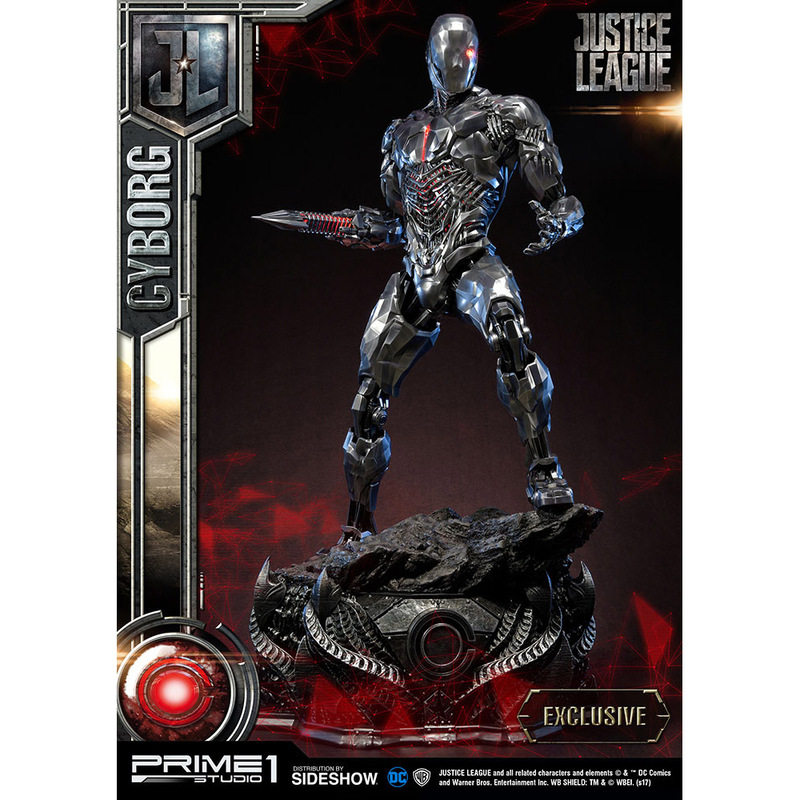 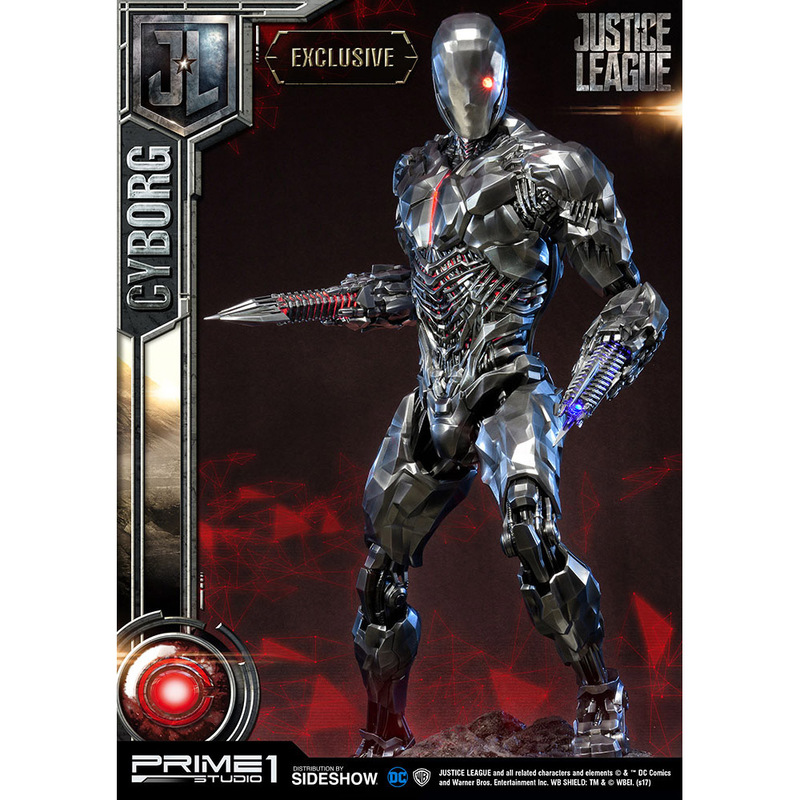 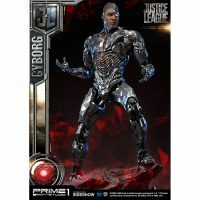 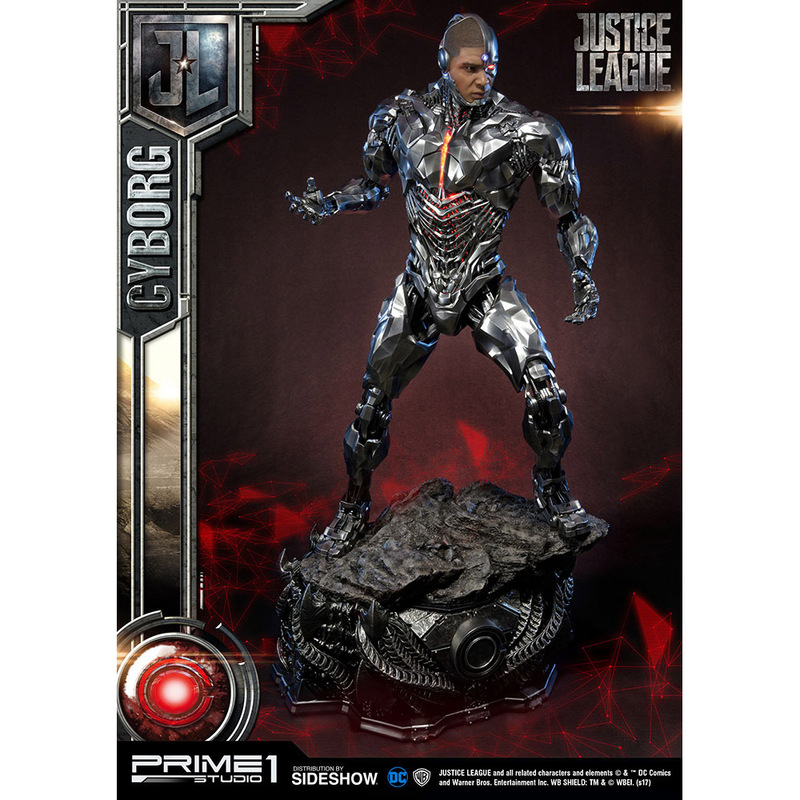 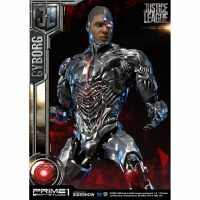 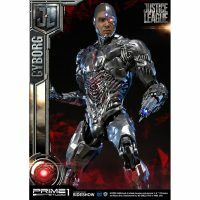 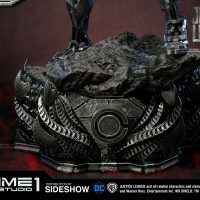 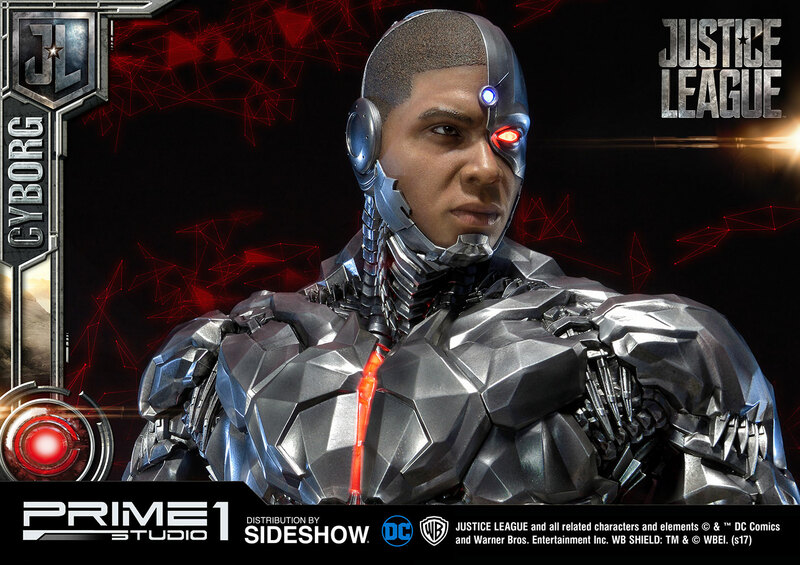 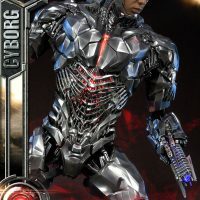 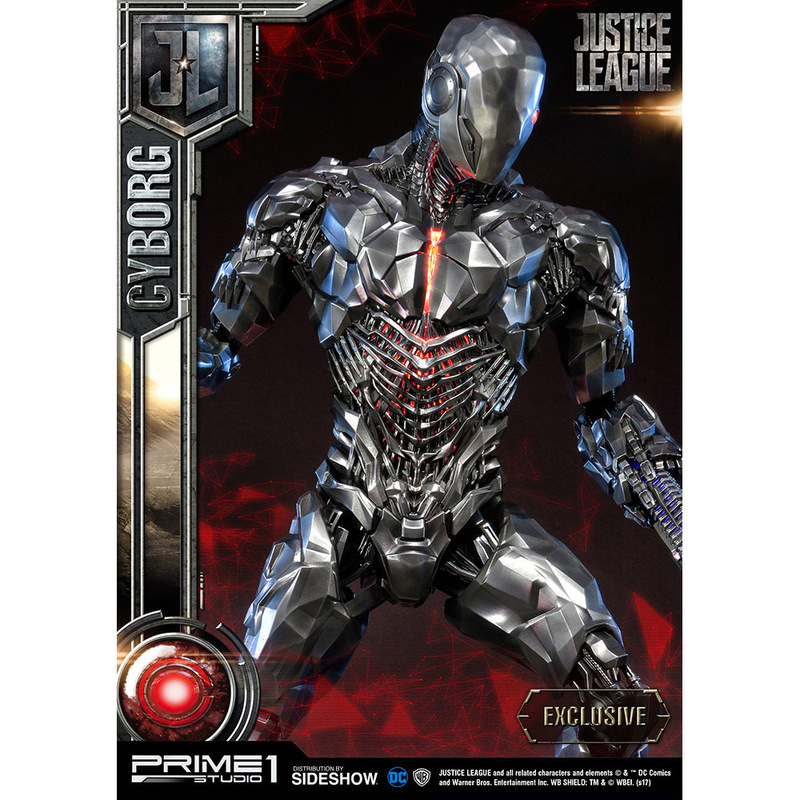 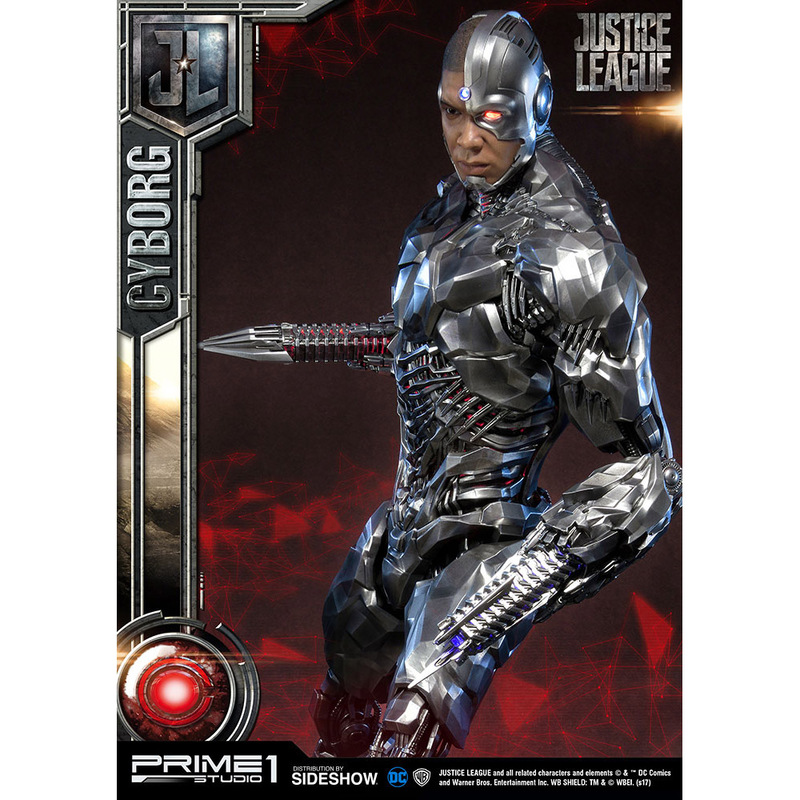 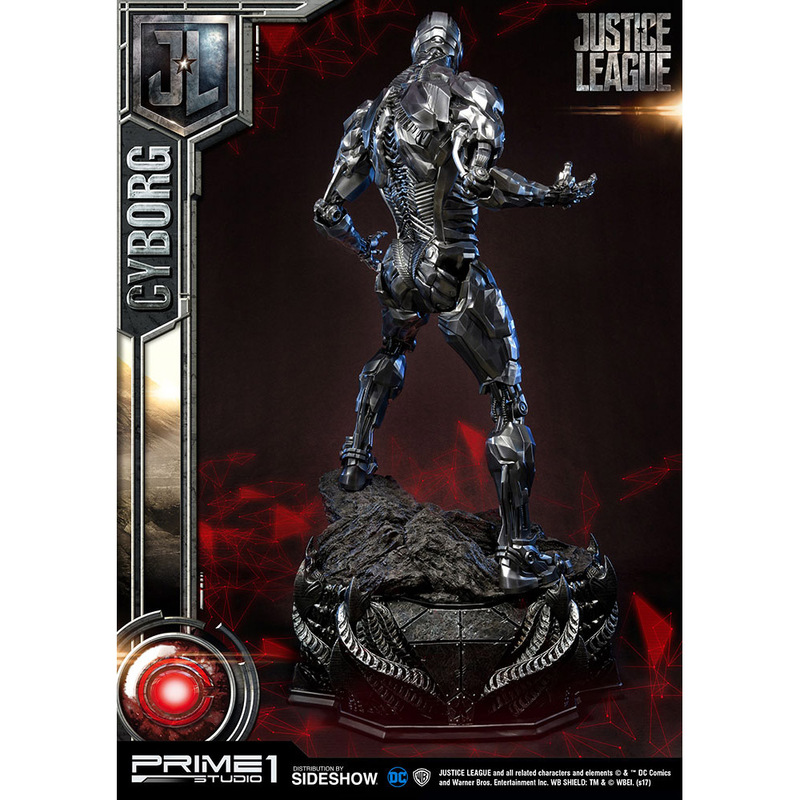 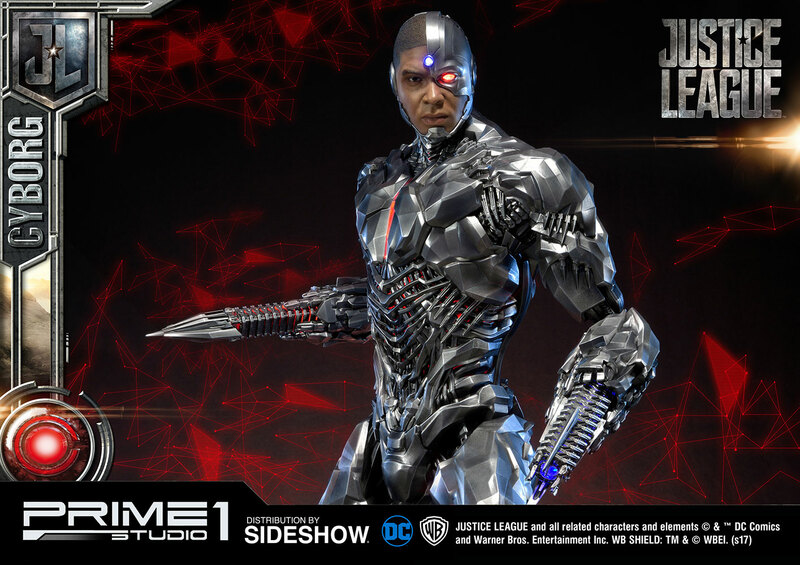 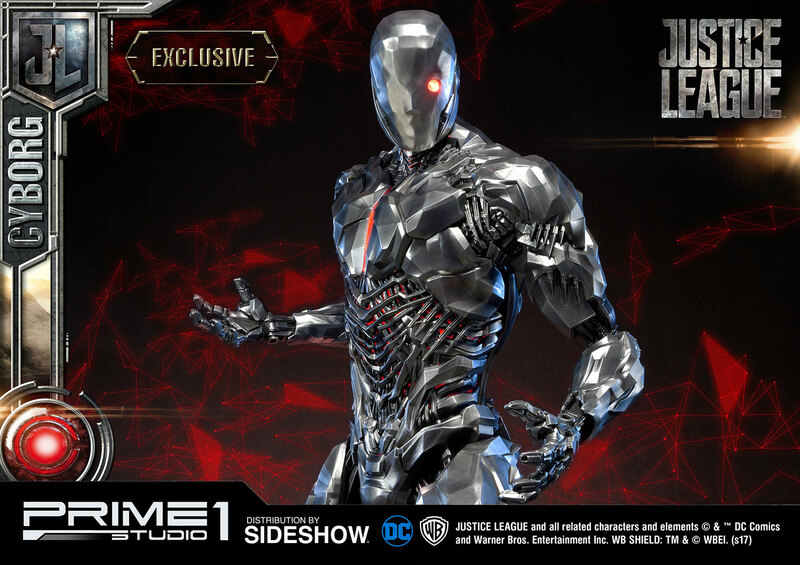 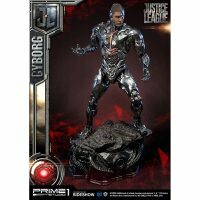 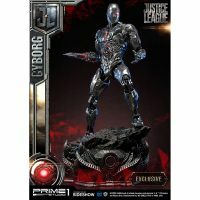 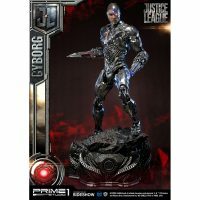 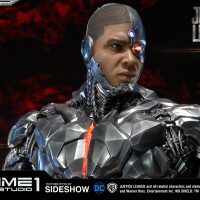 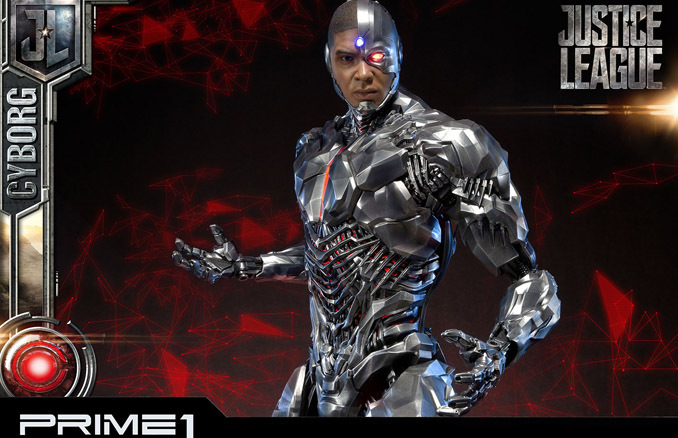 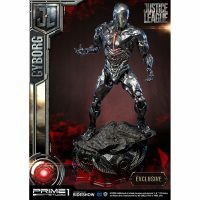 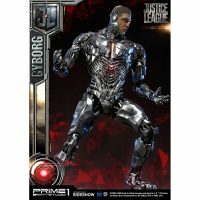 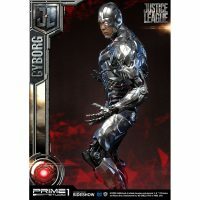 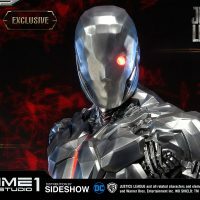 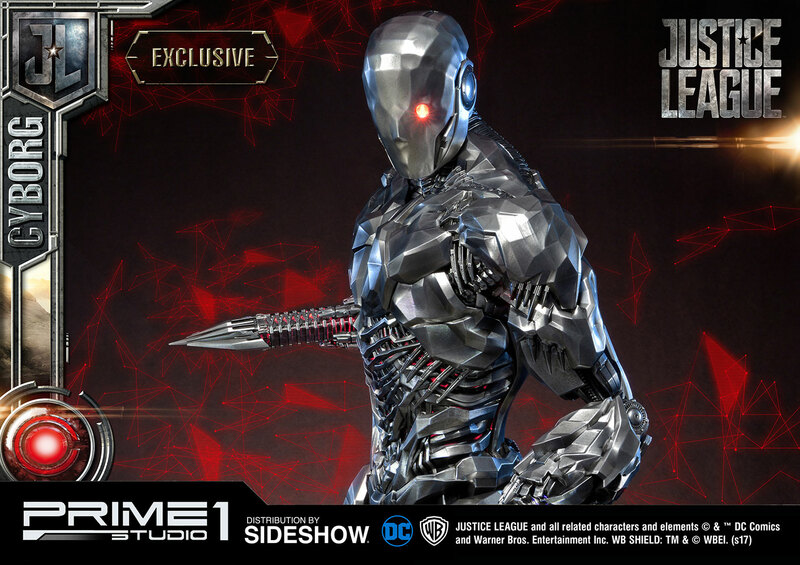 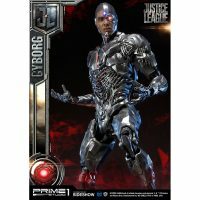 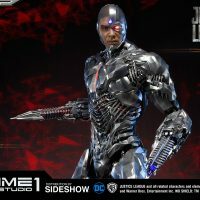 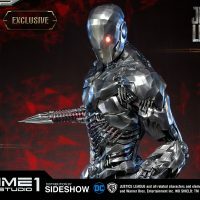 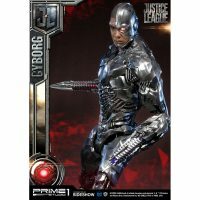 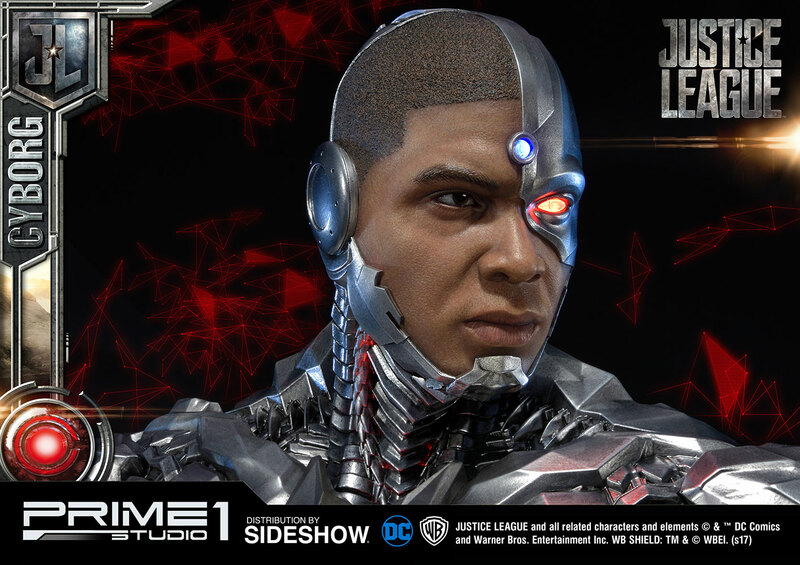 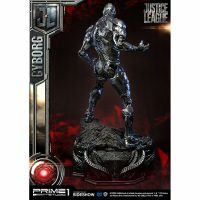 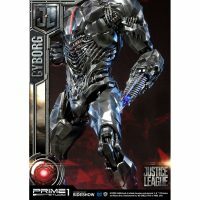 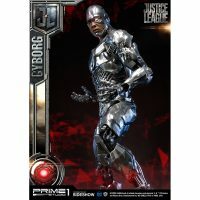 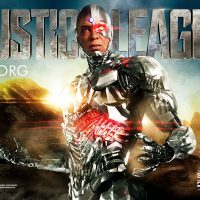 Is the Justice League Cyborg Statue by Prime 1 Studio made of organic and biomechatronic body parts? 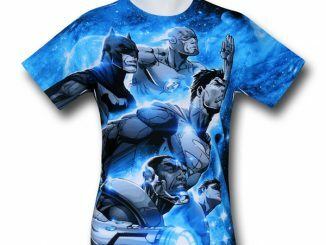 Well… no, but you don’t really have a problem with that, do you? 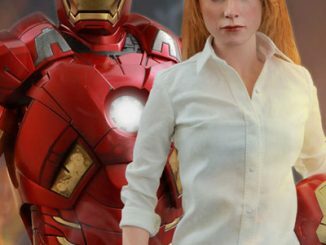 Would you really want a statue made of organic material? 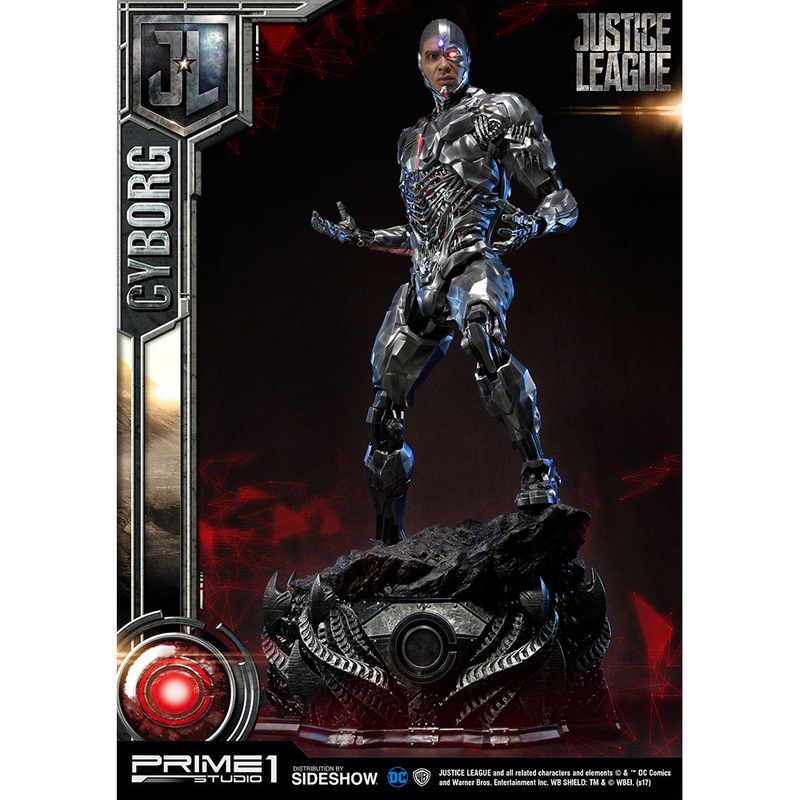 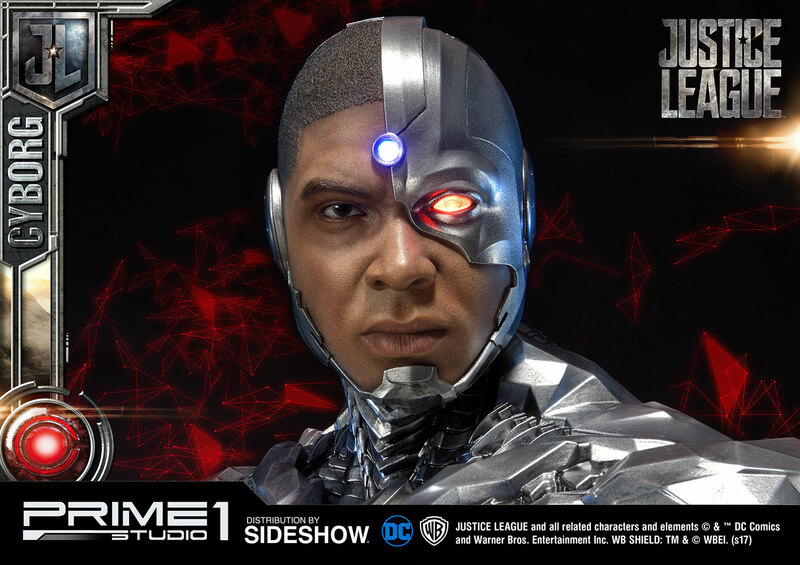 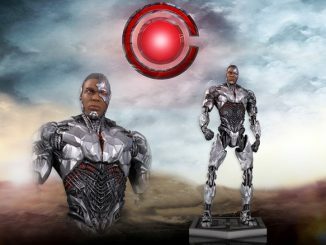 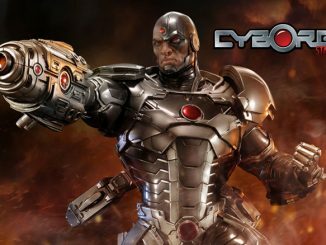 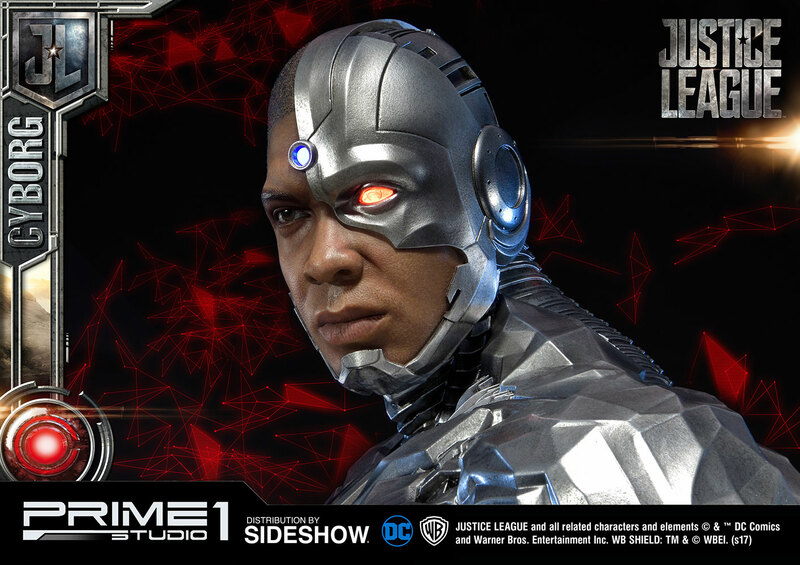 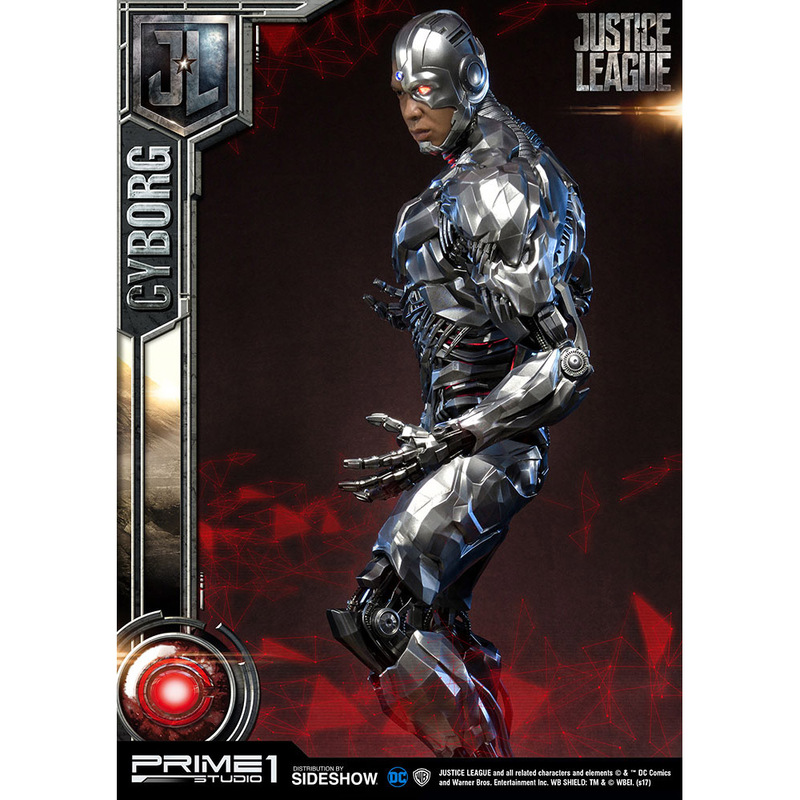 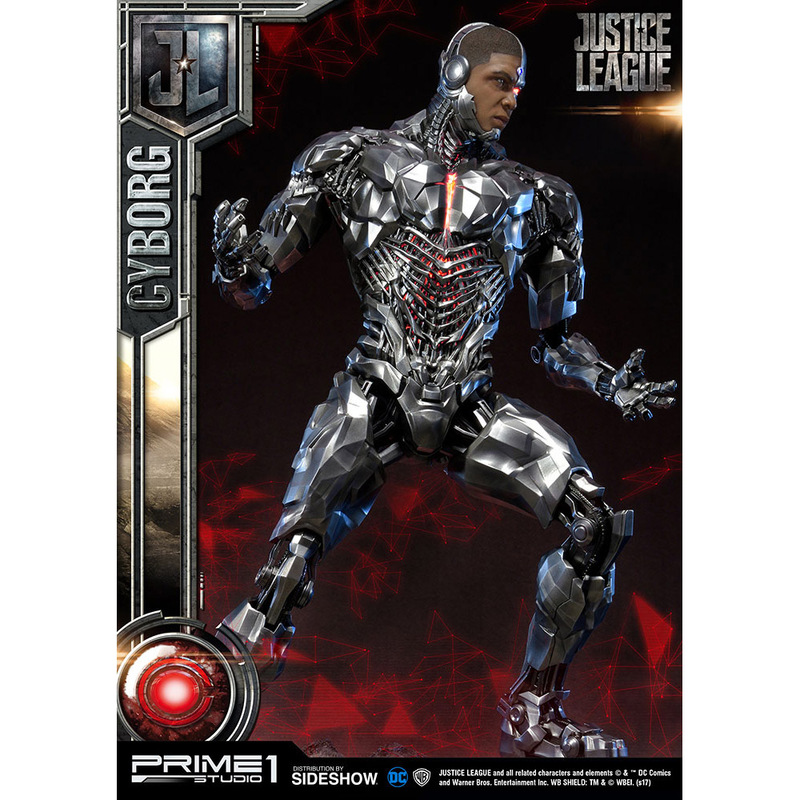 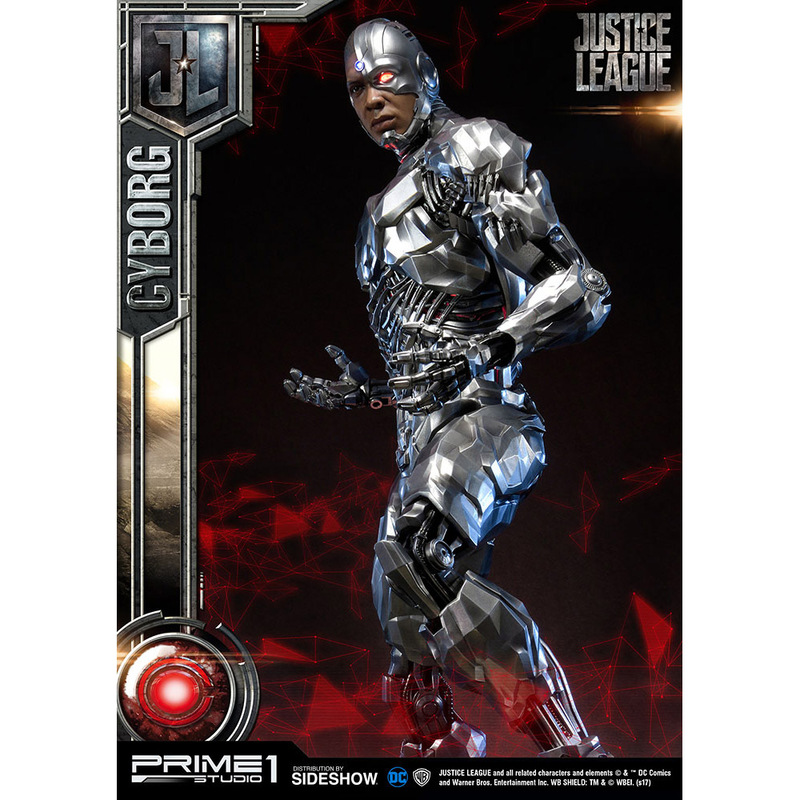 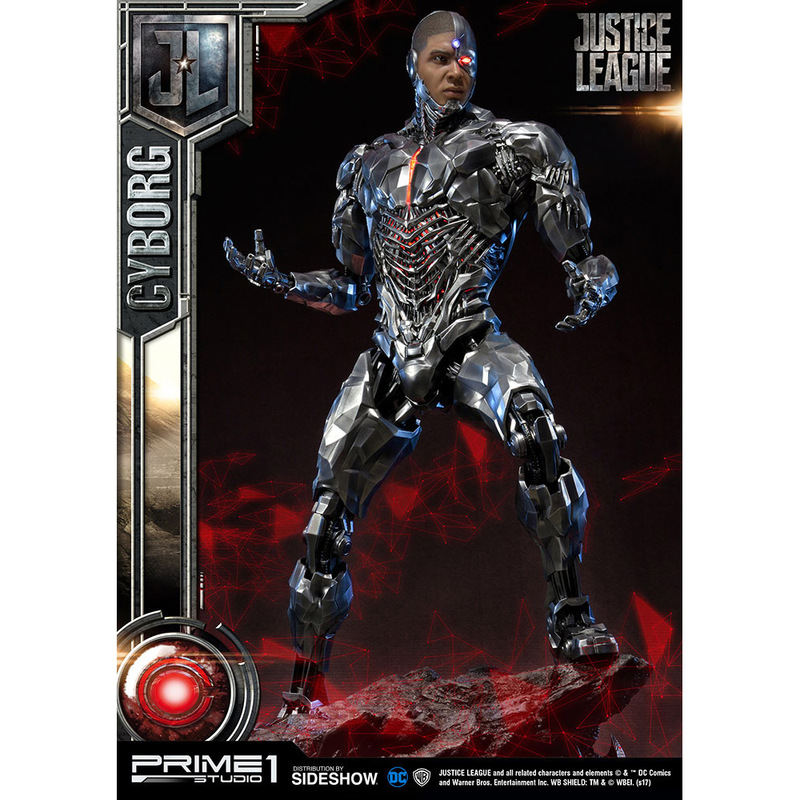 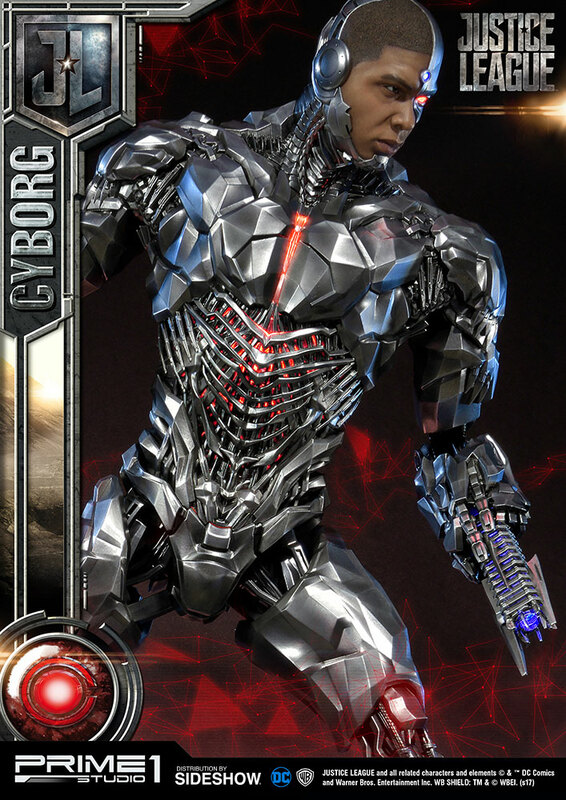 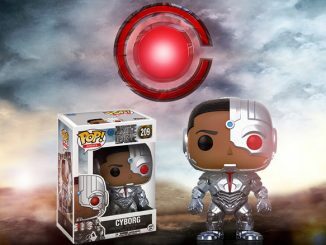 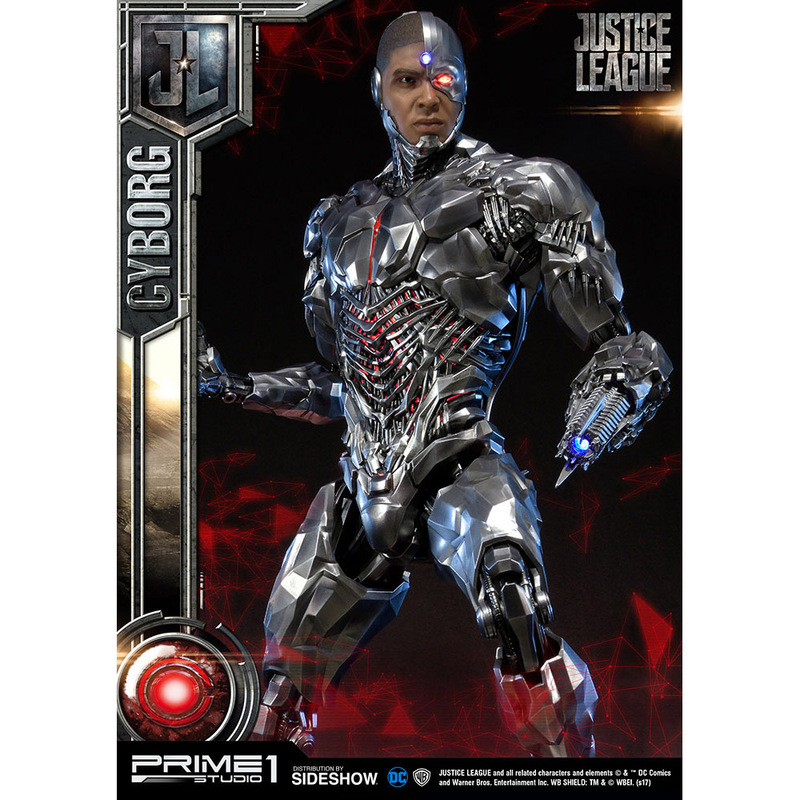 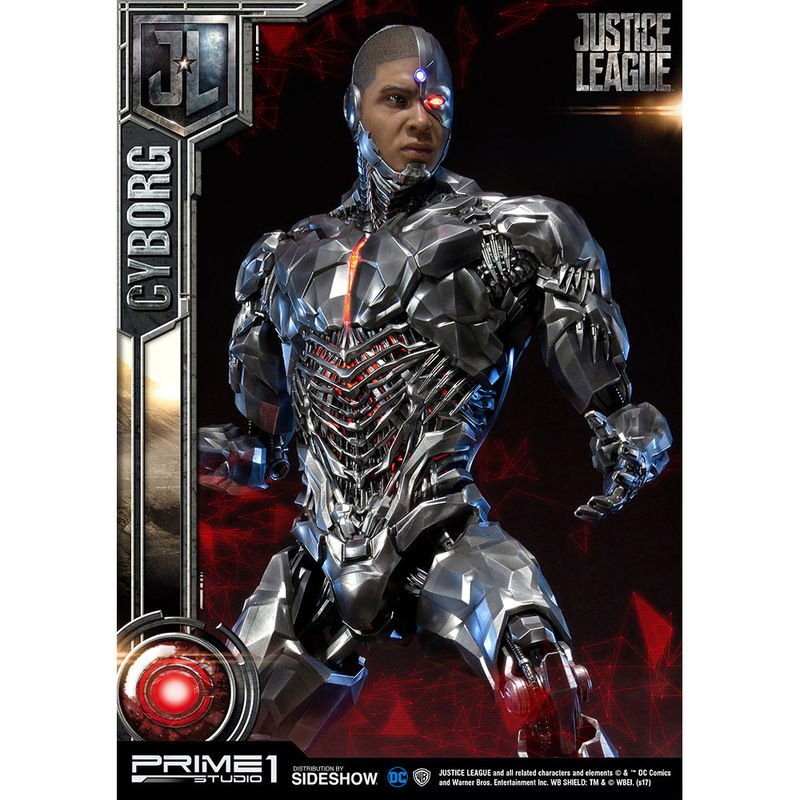 Standing almost 34-inches tall and based on Ray Fisher’s portrayal of the character in the movie, Justice League, Cyborg stands ready to defend the world against the forces of Steppenwolf. 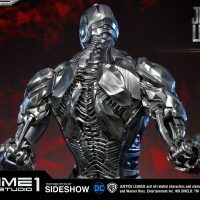 Limited to just 350 pieces, the statue comes with various accessories that include light-up effects, interchangeable arms, and an exclusive face armor portrait. 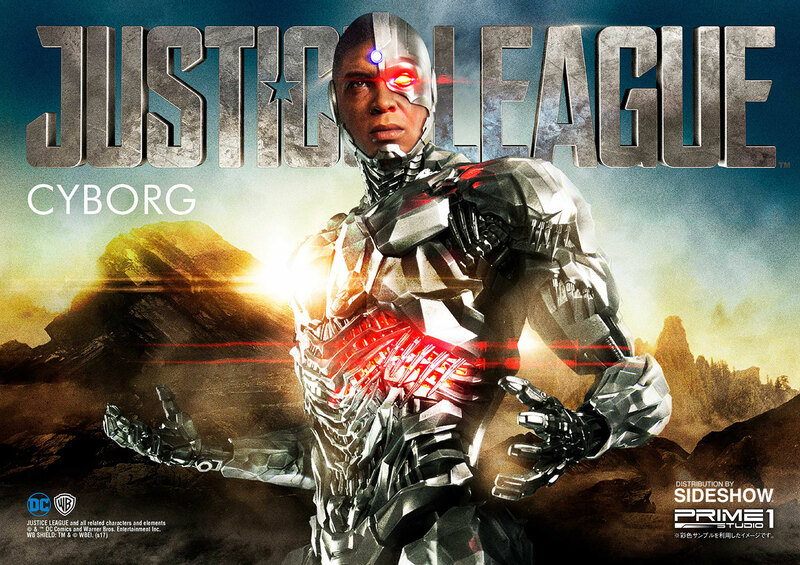 Coming Apr 2019 – Jun 2019. 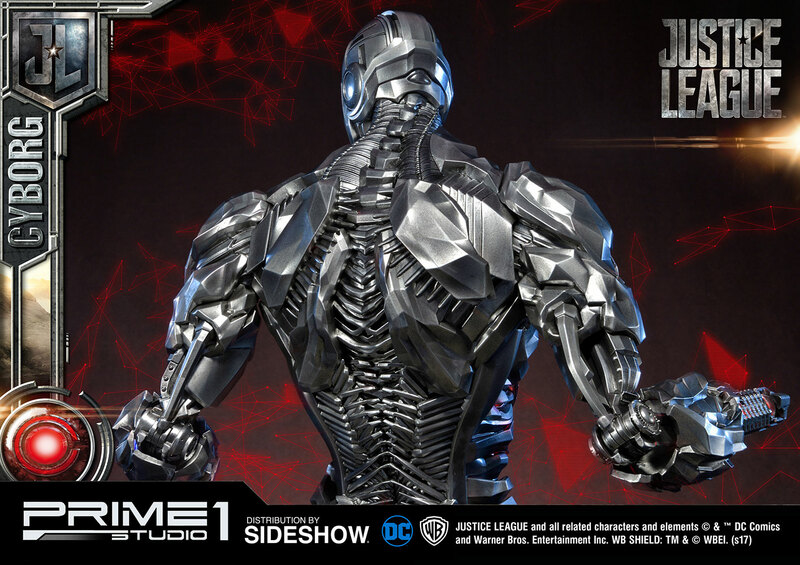 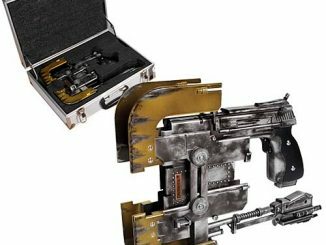 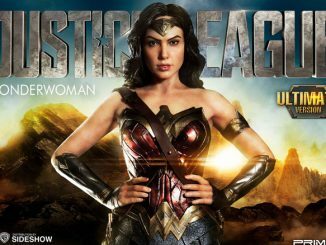 Preorder now for $1099 at Sideshow Collectibles. 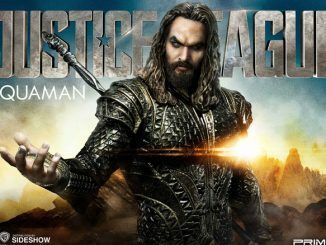 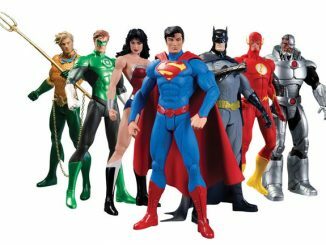 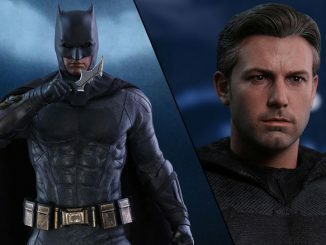 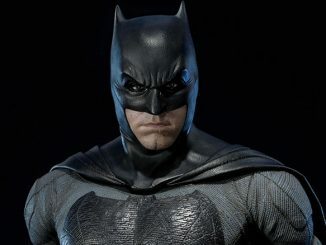 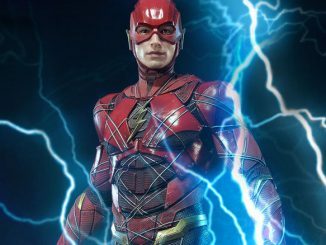 Other statues in the Justice League collection include Batman, the Flash, and Aquaman.